CHASE, Salmon Portland (1808-1873) was a U.S. politician and jurist who served as the sixth Chief Justice of the United States. 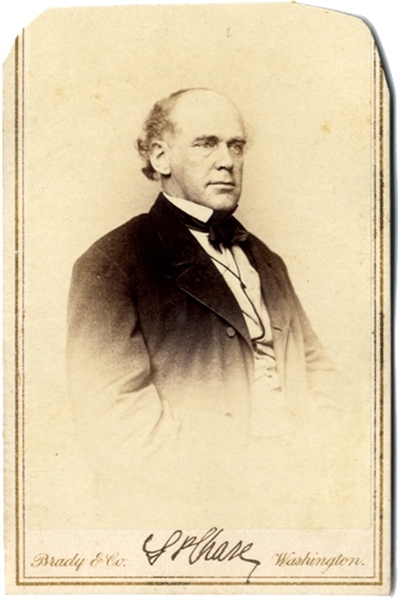 He also served as the 23rd Governor of Ohio, represented Ohio in the United States Senate, and served as the 25th United States Secretary of the Treasury. Carte de visite Signed “S.P. Chase” Matthew Brady backmark. Rounded top corners, else very good condition.